Serbia PHOTO » Photo notes » What’s a NAS Drive? The storage, protection and accessibility of assets have always been an issue for working photographers. Originally developed for other applications, the NAS drive or NAS server is, in fact, ideally suited to the requirements of many photographic businesses. The initials stand for Network Attached Storage, and these devices are specifically designed for the storing and serving of files. This degree of specialization – versus a more general-purpose server – delivers a number of key benefits such as faster data access while, being network attached, a NAS drive is a convenient way of sharing files across multiple computers. Typically, a NAS drive or server contains multiple hard drives arranged into independent and redundant storage ‘containers’ to facilitate RAID (redundant array of independent disks)back-up protocols. Unlike rack-mounted storage and back-up systems, NAS drives are comparatively compact stand-alone units and are becoming increasingly more affordable. Consequently, they are ideally suited to handling large amounts of data and, importantly, multi-media data such as video and images. Expansion PlanPerhaps the best way to appreciate the potential of adopting a NAS drive is to take a look at an actual product and its features. Synology is actively marketing its DiskStation NAS servers to photographers and other imaging professionals. The DiskStation line-up is extensive and ranges from models suited to the home those designed for small to medium-sized businesses The DS1813+ model is in the latter category and provides plenty of scope for expanding its storage capabilities which is an important consideration for both video makers (especially with 4K on the horizon) and photographers using cameras with very high resolution sensors (such as the Nikon D800E or digital medium format systems). The DS1813+ can be connected to up to eight dedicated HDD expansion units for additional storage,easily increasing capacity up to 48 TB. These internal expansion bays are hot-swappable and screw less (using locating clips instead). Additionally, external drives can be connected via the two USB 3 0 and fourUSB 2 0 ports. 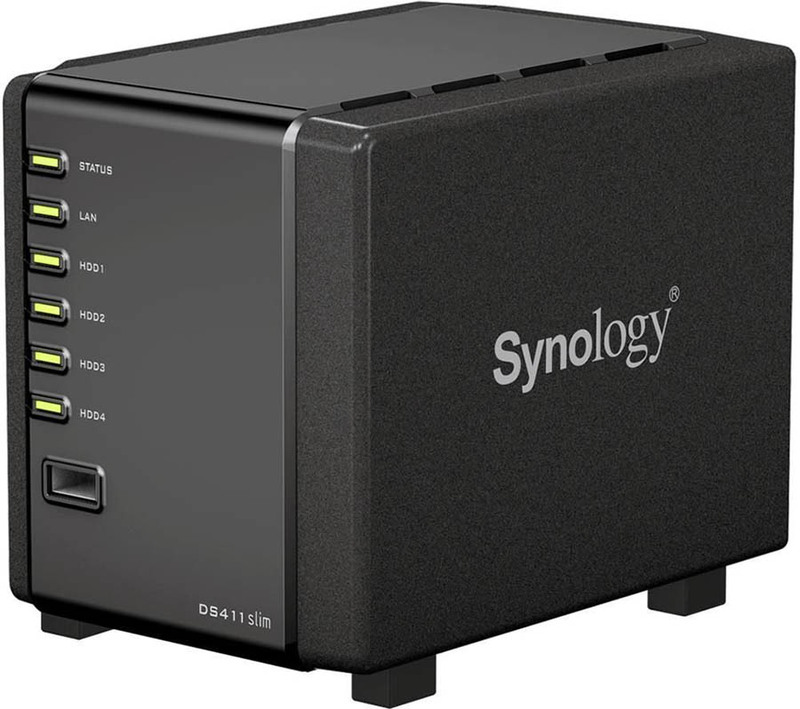 Alternatively, two eSATA ports allow for Synology’s own expansion drives to be connected, giving up to 90 TB of storage in total Even eight expansion bays may seem like a lot (there is a five-bay model called the DS1513+ if you think so), but image data storage requirements are almost increasing logorithmetricaly so it pays to think ahead Interestingly, if you do mix and match drives, it’s possible to create a‘Hybrid RAID’ array. A dual-core Intel Atom CPU and an expandable RAM capacity (up to 40 GB) enable this device to easily handle power-intensive applications such as video transcoding. With link aggregation, the DS1813+ can deliver up to an average of 352 39 MB/second reading– no that’s not a typo – and a 211 88 MB/second writing speed under the standard RAID 5 configuration in a Windows environment. There are four Gigabit LAN ports (with Link Aggregation Support) which will provide plenty of bandwidth for imaging-based users. With a PC back-up to the DS1813+ is via Synology’s Data Replicator, but it fully supports MacOS X’s native Time Machine. Synology’s own back-up wizard can back-up information to another Synology NAS or any rsync server (with the option of using an encrypted connection), or to an external hard drive via a USB 3 0 or eSATA connection. The wizard can also back up your information to the cloud, including Amazon S3, Glacier and STRATO HiDrive. We’ve only scratched the surface of how this NAS drive can be used, but it’s enough to illustrate the flexibility and capability of these devices.